Does your computer need service? Computer Essentials has A+ certified technicians on staff 6 days a week and can quickly help get you back up and running. Whether you need a memory upgrade , a larger Hard Drive or you have had a complete system failure.... Computer Essentials can help! We service all makes and models of both desktops and laptops. Our service and our warranty work is typically done in the store. No need to send it away! Hourly rates apply with no job going over 2 hours without prior customer approval. Is a virus slowing you down? Our technicians are experts at removing viruses, spyware, adware and malware. Just bring in your computer and let us take a look at it. We service both PC and Mac laptop power connectors. Please call for details. To put data on CD instead of DVD $49.95 plus $9.95 for each additional CD after first. We pride ourselves for having superior quality services at unbeatable prices, see our chart below and see the difference! * Hardware and Software installs are done by the hour, we combine these together for the best value! No need to despair! 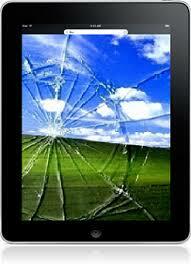 Computer Essentials can fix the screen on your iPad, iPhone, or laptop.